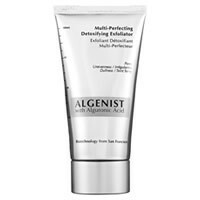 Detailed review of Algenist Multi-Perfecting Detoxifying Exfoliator. See how it stacks up against other exfoliators! Connect with us on social media for breaking news, product reviews and more ways to get glowing skin! The 10 Best Exfoliators For 2019! What Happens To Your Skin If You Don’t Exfoliate? Glycolic Acid vs Salicylic Acid: Which Is Better For Your Skin? Is Microdermabrasion All It’s Cracked Up To Be? Lip Exfoliators: The Quick And Easy Way To Banish Dry Lips Forever! © 2019 Exfoliate.com. All rights reserved.